Hun Sen and the Cambodian People’s Party (CPP) won a recent landslide victory in the Southeast Asian country. After outlawing the main opposition party that challenged the ruling CPP, Hun Sen secured more than 80 per cent of the popular vote and well over 100 of the 125 contested seats in the National Assembly. Despite calls to boycott the election, voter turnout was around 82 per cent, or about 6.88 million people. The response from the international community has been split. Australia, Canada, the European Union and the United States have expressed “profound disappointment” with the lack of opposition participation. Regional countries and populist European leaders, on the other hand, have endorsed the result. The re-election of Prime Minister Hun Sen and his CPP contributes to the growing global democratic crisis. The government has taken advantage of the retreat of leading democracies to use blatant repression to suppress opponents, stifle media freedom and compromise rulesbased institutions. What went wrong this election? 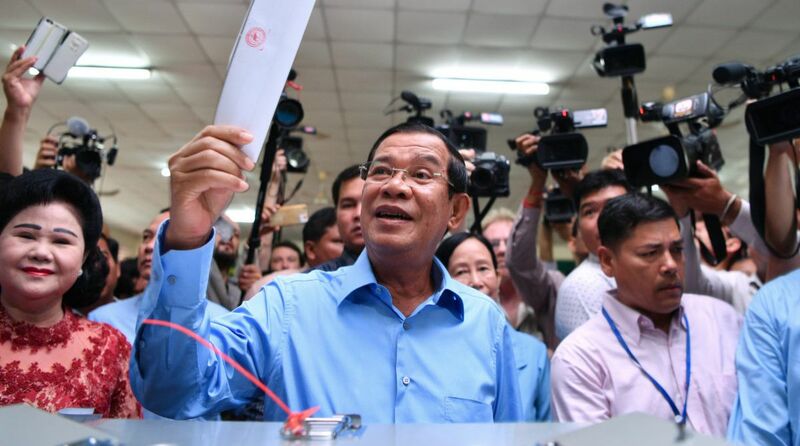 In the last competitive elections in 2013, the opposition Cambodia National Rescue Party (CNRP) gained significant ground with 44 per cent of the popular vote, shaving the CPP’s vote share to 48 per cent. In this election, Hun Sen and the CPP were determined to pull out all the stops to prevent a replay of 2013’s humiliating results. Journalists were also constrained by a list of arbitrary, controversial rules regarding how they cover elections. They were prohibited from having their “own ideas to make conclusions,” asking detailed questions about the election result or from “interfering” at the voting booths by talking to voters. Cambodian journalists also routinely deal with phonetapping and death threats, and are forced to self-censor. 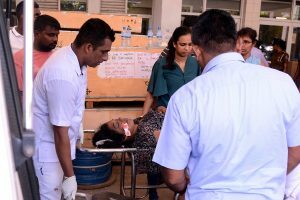 What’s more, high-ranking members of the armed and police forces campaigned for the CPP prior to the election, while others threatened to take away public services to residents in certain provinces unless they voted. The government also threatened people who wanted to boycott elections. Additionally, vote-buying was reported in which envelopes filled with 20,000 riel (approximately $5) were handed out to voters at campaign rallies. In 2015, the controversial Law on Telecommunications was passed to authorize the government’s eavesdropping on all telecommunications. Every phone conversation, text message, email or post on Facebook, if deemed to have violated “national security” clauses, could result in a 15- year prison sentence. The government is now drafting “fake news” legislation similar to Malaysia’s “Anti-Fake News Act” to punish those found guilty of creating or distributing supposedly false information with up to two years imprisonment and fines of up to $1,000. Many of Cambodia’s government- approved media outlets, with their links to China, are looking more like China’s authoritarian model, which should be cause for concern for proponents of democracy. While Russia provided election monitors, China and Japan supplied election ballot boxes and booths. China also promised $ 100 million in military aid to boost ties with Cambodia prior to the election. Despite calls from local election watchdogs not to send observers, Cambodia’s National Election Committee (NEC) reported there were more than 50,000 observers, including some from China, Myanmar and Singapore, who participated in election monitoring. And a group of European populist and nationalist politicians from the UK Independence Party (UKIP), the Bulgarian Socialist Party, the Czech Freedom and Direct Democracy Party, the Austrian Freedom Party and other rightwing party leaders also descended on Cambodia to observe and endorse the national election.